Payment can be made by Cash or Bank Transfer. Please contact either Phil, Carl, James or Ali if you need the club bank details. Please get those payments in as soon as possible. Only 2 more weeks left of indoor training before we head outside. Please try and make it down for these guaranteed dry weather sessions because who knows what the scottish summer has in store for us this year. On the 14th April we will have our annual pre season Ground Force day where we get the armoury and the ground ready for the new season. We have plenty of jobs to do so please can we have as many of you down to help from 11am as possible, many hands make light work as they say. A refreshing pint at the Roseburn Bar can be enjoyed by all when the work has been done. 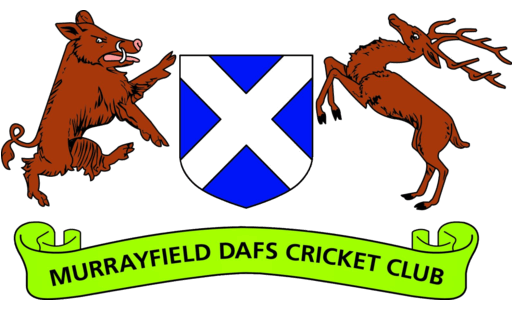 The 1s have a friendly organised against Gala at Meigle Park on the Saturday 13th April.The 1st XI skipper will be selecting a squad of players to take down to that match so please keep this Saturday free. On Saturday 20th April we will have the traditional Intra Club game at Roseburn Park on the artificial. This is an opportunity for EVERY player at the club to get a run out. The main aim is to try and get everyone a bat and ball in preparation for the first game the following weekend. Coaching will be provided by our resident newly qualified, level 3 coach, Neil and our OA Ash. More details on the committee can be found here. The Intra Club friendly on the 20th April will be part of the Ian Shiels Memorial day. In between the friendly we will be having the grand unveiling of a bench in Ian’s honour which will be followed later in the evening by the Memorial meal beginning at 7.15pm. For those of you new to the club and not fortunate enough to ever meet Ian he lived and slept Murrayfield DAFS and is one of the main reasons that the club is in such a good state today. He was responsible for building up our now thriving Junior Section from scratch and was almost solely responsible for organising the new artifical that we play on. The inclusive nature of our club and our playing cricket in the correct way is down to him and we thrive to uphold these values both on and off the pitch. This really will be a day to celebrate all he did for the club and him as a person.